A great wine to start the day off with and sip on its own, or pair with a nice salad! My Italian sister-in-law will be making her famous “Easter Pie” and this will be right by it’s side. A blend of Cabernet Sauvignon, Malbec, and Merlot. I tasted this the other day and it was smooth, fruit forward, and friendly! Ideal for any meat option you might be making on Sunday. A heavier style Cabernet that would add just the right touch to those bigger dishes. Plus it’s a Cabernet from Red Mountain…need I say more? Another must have at any holiday gathering! A big Bordeaux style blend will perfect any dish in my opinion. 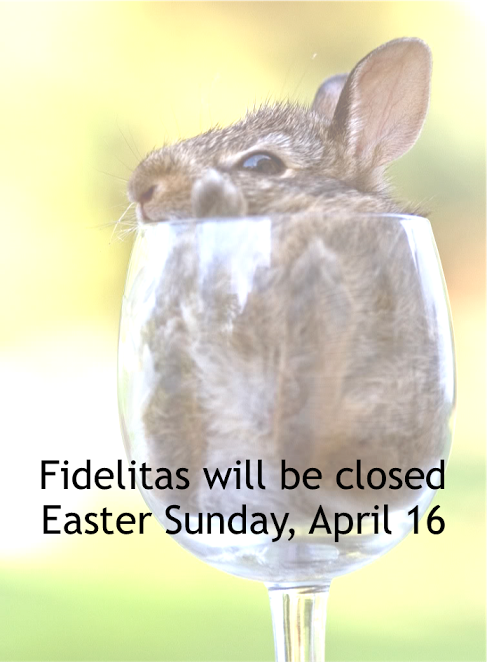 Everyone at Fidelitas hopes you have a safe and wonderful Easter! Please note that both tasting rooms will be closed so that we can spend time with our families. Red Mountain is officially old enough to drive a car. That’s right, 16 years ago today Red Mountain set itself apart and became its own AVA. An American Viticultural Area is a designated wine grape-growing region in the United States distinguishable by geographic features, with boundaries defined by the Alcohol and Tobacco Tax and Trade Bureau (TTB) of the United States Department of the Treasury. Want to know what makes Red Mountain unique? Check out this post or visit the Red Mountain AVA site. Originally founded in 1972, Red Mountain had previously been a part of Yakima Valley AVA. 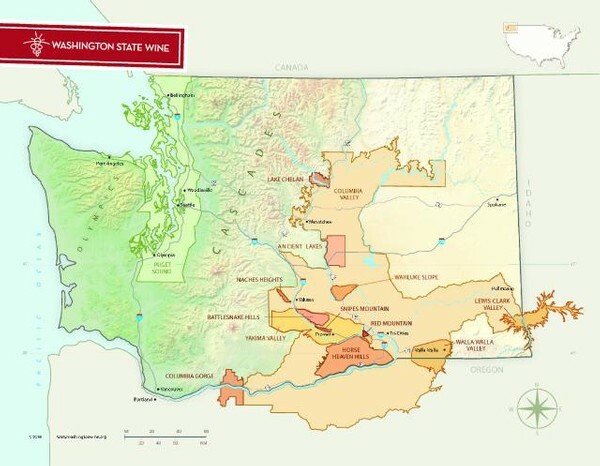 To this day Washington state has 14 AVA’s with the oldest established in 1983, although vines were planted long before that. We might be the smallest region on the map but Red Mountain is making history with the premium quality grapes planted right here in the region we call home.